"Now everyone can afford their Pinterest wedding with a host of exclusive, limited online deals from various wedding suppliers. I Do Deals works closely with each supplier, coordinating each unique deal to ensure that the products and services offered through our website are of the best quality and affordability." I Do Deals have some great products on offer at the moment, including personlised groomsmen badges, wedding DJ packages, sweet personalised cake topper bunting, custom chalk wine labels (we love these) and a wedding photography package! Deals are categorised into the cities that are available from but most products can be couriered right to your front door. So what are you waiting for? 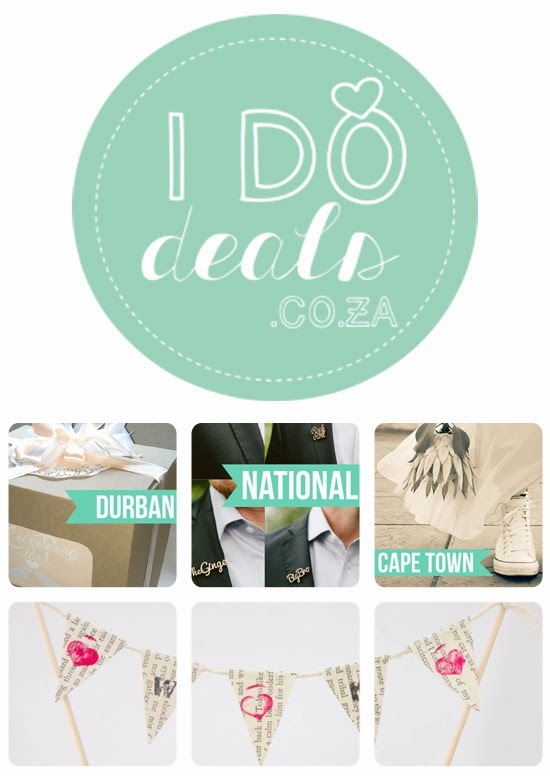 Head right over there for some great deals and make those wedding dreams come true! You can find I Do Deals on their website here and on Facebook here. They're also on Twitter, so find them here.